For most cannabis growers, seeing broken stems on their crops is a truly devastating experience. Detached, broken, or bent stems are some of the most common problems that first-time growers of the crop have to deal with. This problem could potentially endanger your crops and limit your yields. But with utmost care and attention, these problems can be easily fixed. In fact, even the stems that have totally snapped off can be saved with a few simple steps! The most popular method used in fixing stems that have been broken or snapped off is the tape method. For this method, you can use both scotch tape and duct tape. The type of tape that you use will depend on the extent of the damage and the weight of the stem or branch that you need to fix. Get a piece of tape that’s around 10 cm in length. For larger branches or stems, you may need to use a much longer tape. Wrap the tape around the stem that is broken, making sure that it covers the original base fully. Make sure that the stem and the base are wrapped tightly together to allow fixing. Leave the tape on the stem for around 2 to 4 weeks. Regularly inspect the stem to keep track of its healing progress. Make sure to wrap the tape as tightly as possible. Pack everything together to greatly assist the stem in its healing process. When it’s time to take the tape off, observe utmost caution so as not to cause any damage on the stem. The stem might still be fragile or not yet fully healed. During these situations, it’s very easy to unintentionally break them again. Although it’s easy to fix stems that have been broken, it’s important that you also know how to protect the stems and prevent them from being broken once again. The most common reasons why stems are damaged is when the plants are moved in a very careless way. This is especially true with plants that are more upright and rigid. Furthermore, the damage can also be due to excess airflow or wind blowing the branches or stems away! 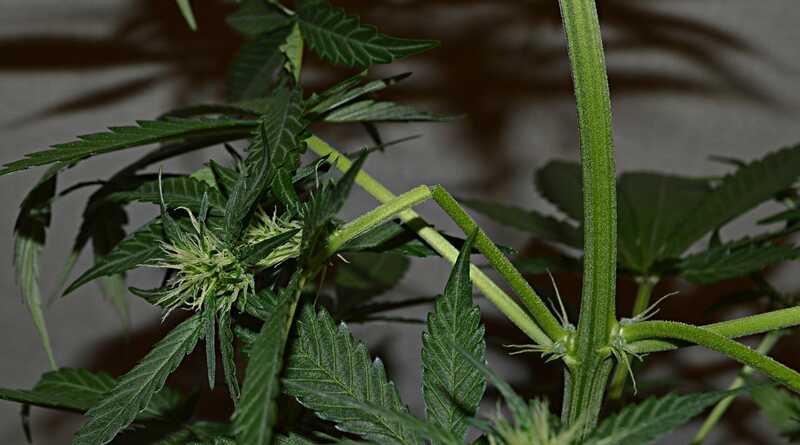 The stems may also be broken if you apply certain growing techniques like high-stress and low-stress training methods. You must stop applying these methods if you notice that your plants’ stems get broken frequently. Growing techniques that could trigger to bend or stress the branches inherently should be stopped. Even if the stems don’t break or snap completely, bending the plants too much could affect their growth and production. It’s important that you treat broken stems as soon as possible. Just like humans, open wounds on plants could lead to infections. These damages will not only make your cannabis plants produce lower yields but they could possibly kill the plants altogether. Next PostNext Can CBD Give You the Munchies?